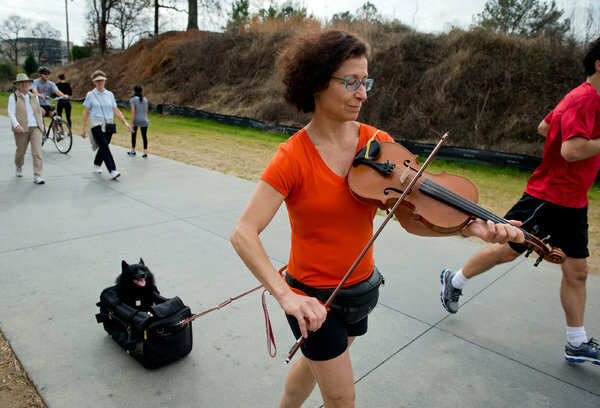 Truncated thoughts: The world needs more trails where walkers play the violin and serenade their dogs. The world needs more trails where walkers play the violin and serenade their dogs. That’s a friend’s comment about the Beltway trail project in Atlanta, which is off to a great start but has many miles to go.